Molecular Testing for Restrictive Cardiomyopathy is a genetic test that is helpful in aiding a diagnosis of the disorder. The lab test results may also be subsequently useful in taking appropriate treatment decisions. Mutation(s) in the TNNI3 gene are known to cause the inherited form of restrictive cardiomyopathy. 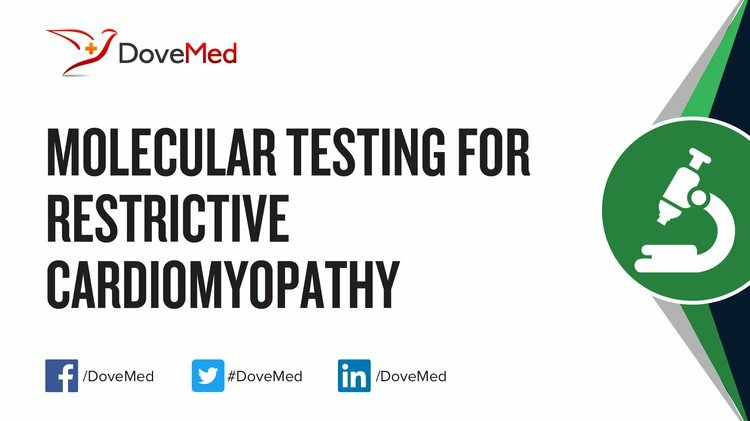 What are the Clinical Indications for performing the Molecular Testing for Restrictive Cardiomyopathy Test? How is the Specimen Collected for Molecular Testing for Restrictive Cardiomyopathy? What is the Significance of the Molecular Testing for Restrictive Cardiomyopathy Result? Hershberger, R. E., Lindenfeld, J., Mestroni, L., Seidman, C. E., Taylor, M. R., & Towbin, J. A. (2009). Genetic evaluation of cardiomyopathy—a Heart Failure Society of America practice guideline. Journal of cardiac failure, 15(2), 83-97. Kubo, T., Gimeno, J. R., Bahl, A., Steffensen, U., Steffensen, M., Osman, E., ... & McKenna, W. J. (2007). Prevalence, clinical significance, and genetic basis of hypertrophic cardiomyopathy with restrictive phenotype. Journal of the American College of Cardiology, 49(25), 2419-2426. Caleshu, C., Sakhuja, R., Nussbaum, R. L., Schiller, N. B., Ursell, P. C., Eng, C., ... & Rame, J. E. (2011). Furthering the link between the sarcomere and primary cardiomyopathies: restrictive cardiomyopathy associated with multiple mutations in genes previously associated with hypertrophic or dilated cardiomyopathy. American Journal of Medical Genetics Part A, 155(9), 2229-2235.